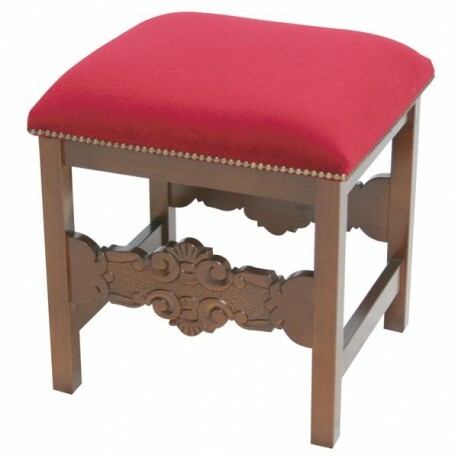 Wooden fratino stool, walnut or golden dye, with red velvet filling. Fratino stool of walnut dye. 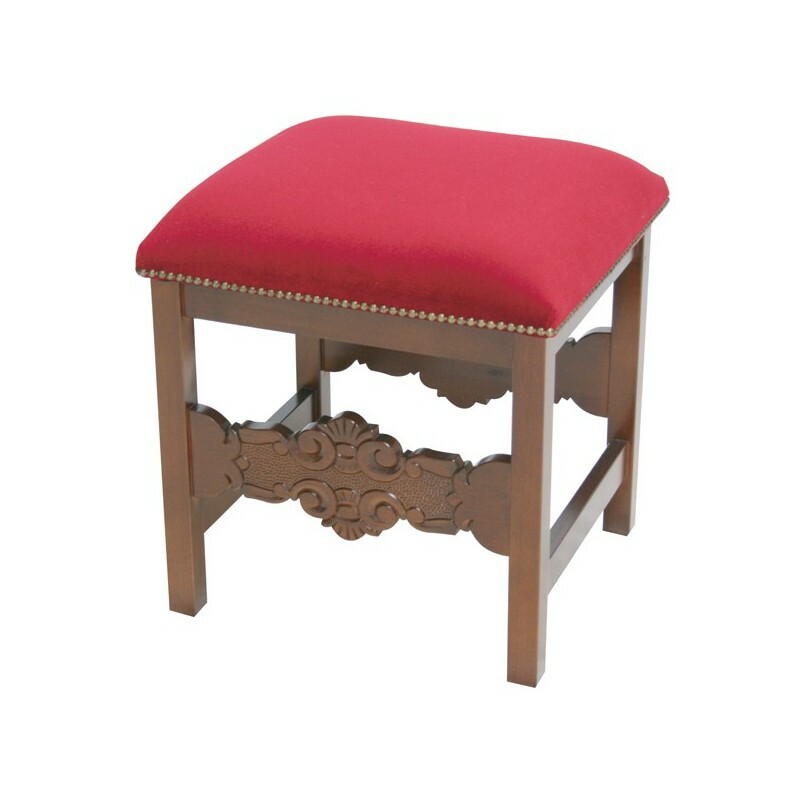 "Fratina" series stool in carved walnut wood Measurements: width cm. 46, height cm. 50. Possibility to change the color of the velvet on request. Product made entirely by hand by expert craftsmen in Italy.